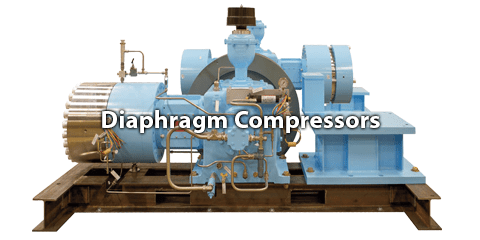 We have developed an extensive line of diaphragm compressors ranging from bare units to fully automated and custom-designed diaphragm compressors with a comprehensive assortment of options to meet any application. 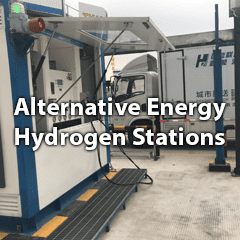 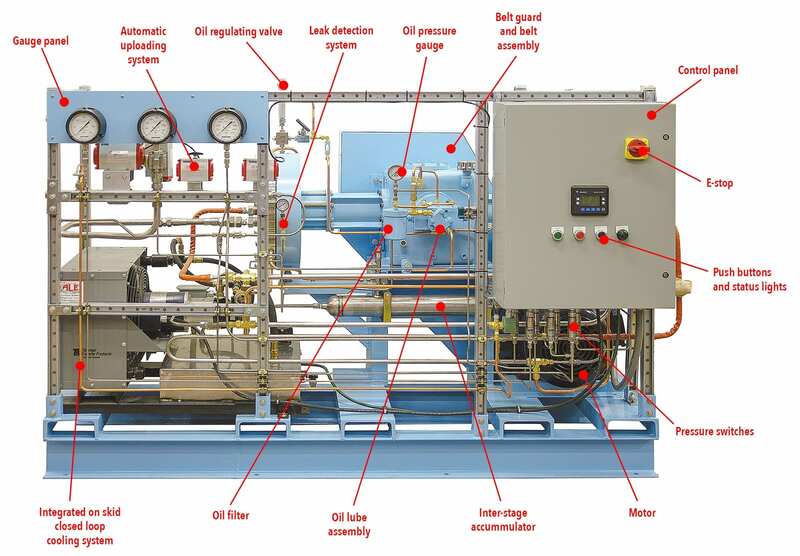 It is critically important that the process gas be clean and dry as it enters the compressor. 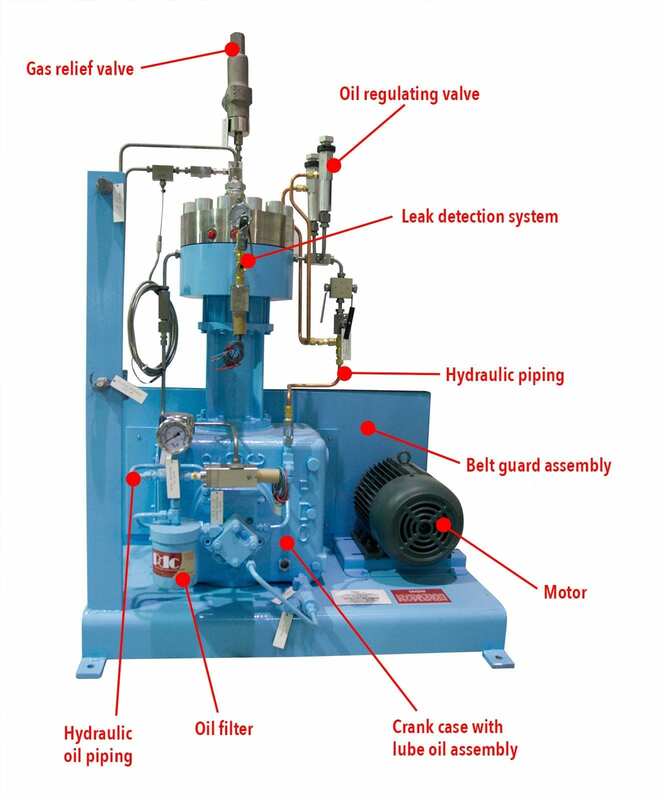 Suction filters, separators/knockout pots or demisters should be employed at each compression stage to eliminate particulate and or moisture from the gas stream. 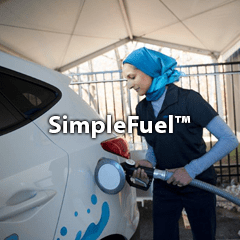 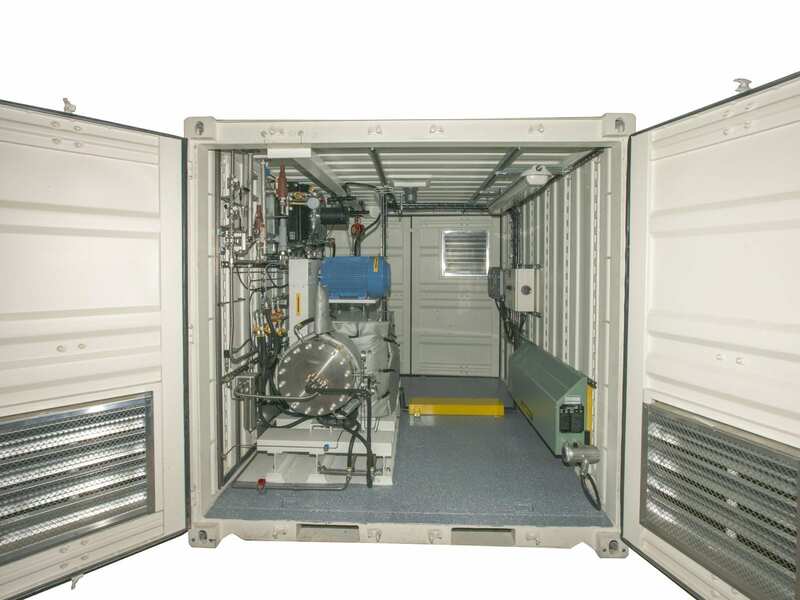 Gas purity is maintained as it is processed through the PDC diaphragm compressor. 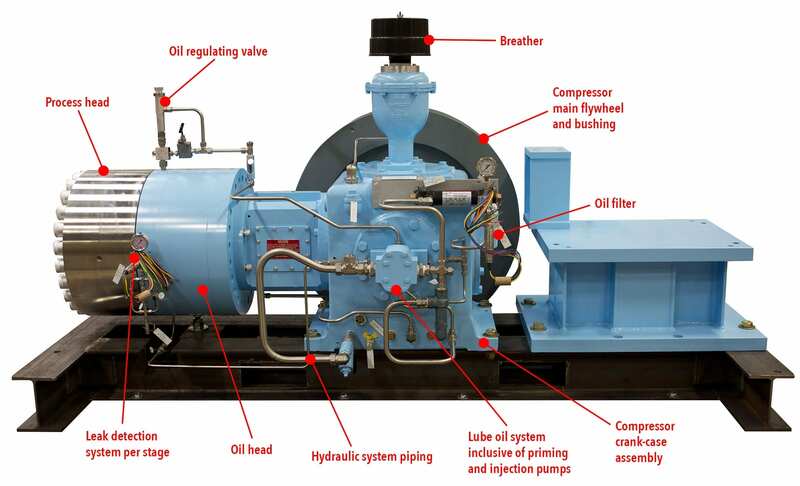 A customized diaphragm compressor package consists of the standard instrumentation package in addition to a wide variety of piping accessories, instrumentation and controls which are typically defined by the customer.